Hello friends! 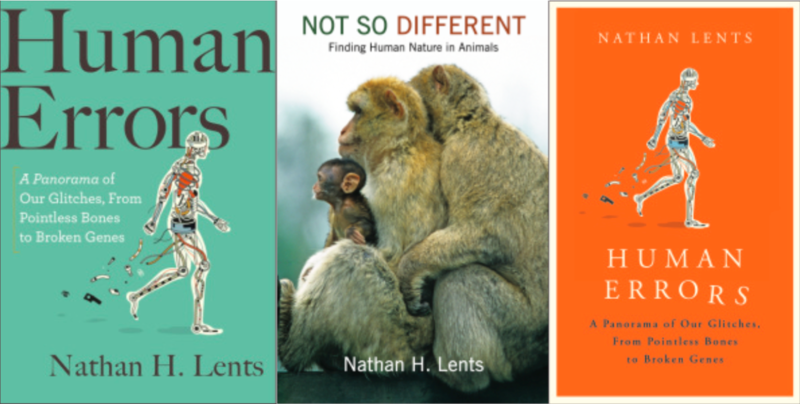 As you may know, I maintain two blogs: The Human Evolution Blog, where I write about new research into the origins of human biology and behavior, and this blog, nathanlents.com, where I share my thoughts on other matters. I am writing to tell you that I am “sunsetting” the blog feature of nathanlents.com and posting future blogs only on The Human Evolution Blog. I will archive these posts (and some I may re-post over there), but I won’t be splitting my writing between two blogs anymore. If you aren’t already, please subscribe to the human evolution blog. I only post once or twice a month, so it won’t clog up your inbox. Hope to see you there! Also, in case you didn’t hear, my new book, “Human Errors,” will be out in May. Check it out! not this submit is written through him as nobody else recognize such specific approximately my trouble.